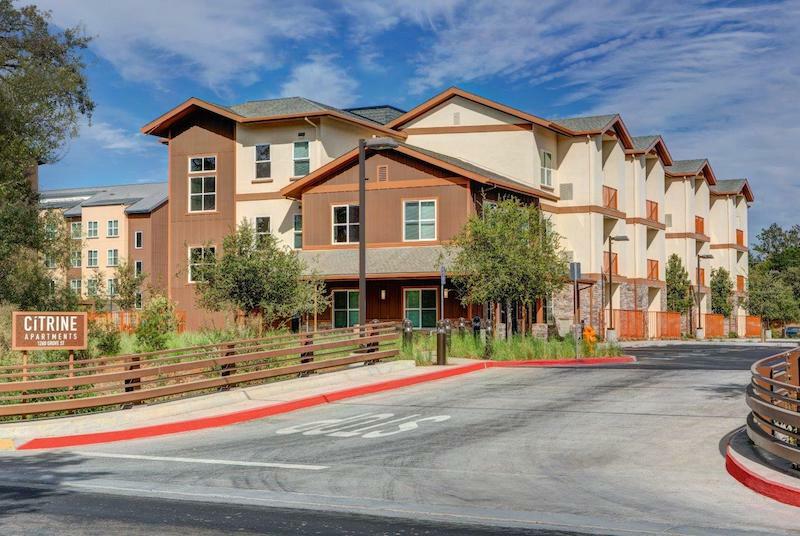 A new ground-up, two-part project consisting of a 122-room hotel and a 37-unit affordable housing community recently completed in Healdsburg, Calif. Hotel Trio, which derives its name from the idea that it connects the Dry Creek, Russian River, and Alexander wine valleys, and the Citrine Apartments are walking distance to downtown Healdsburg and numerous wineries. Hotel Trio is 82,638 sf and comprises 13 one-bedroom layouts and 109 studios. It offers amenities such as in-room kitchens, outdoor patios, fire pits, a fitness center, an outdoor pool deck, a wine and coffee bar, a lounge, a BBQ area, a meeting room, and a third-floor lounge overlooking Dry Creek. Also provided are an onsite bicycle rental and a shuttle service for easy access to the local wineries. Citrine Apartments, which stands adjacent to the hotel, is 41,048 sf and offers one-, two-, and three-bedroom options. It includes a bike storage area, playground, outdoor lounge area, laundry facility, community room with Wi-Fi and a BBQ beach area. The building team also consisted of R.D. Olson Construction, Roche + Roche Landscape Architecture, ZFA Structural Engineers, CSW/Stuber-Stroeh Engineering Group, Inc., Design Force Corporation, and Robison Engineering.